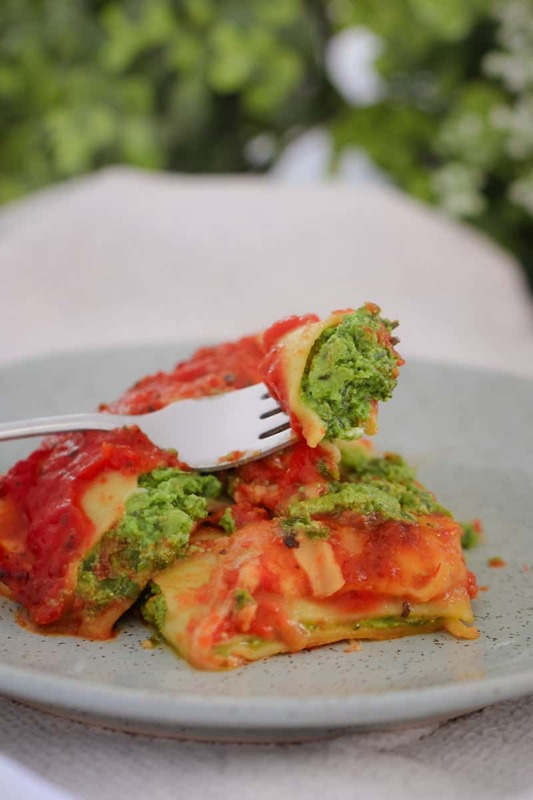 A quick and easy Spinach & Ricotta Cannelloni recipe that makes the perfect family midweek meal! Just 10 minutes prep time and 30 minutes cooking time. 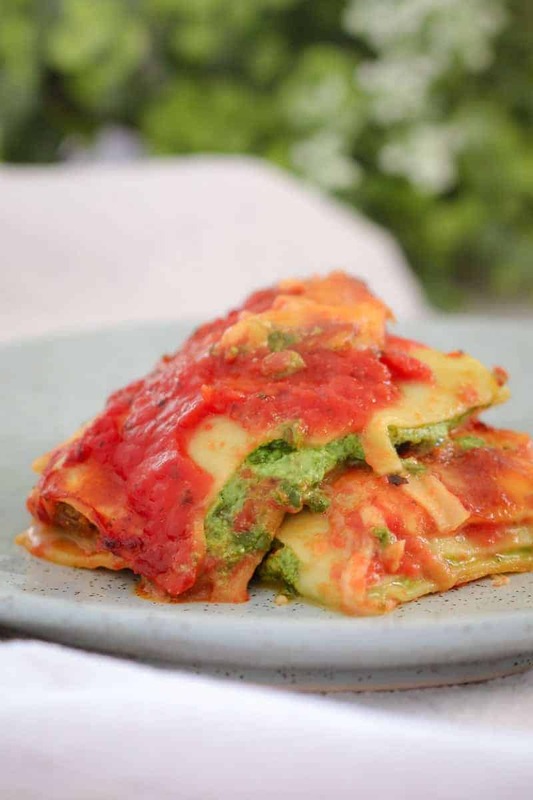 This easy Spinach & Ricotta Cannelloni is one of our favourite family meals. 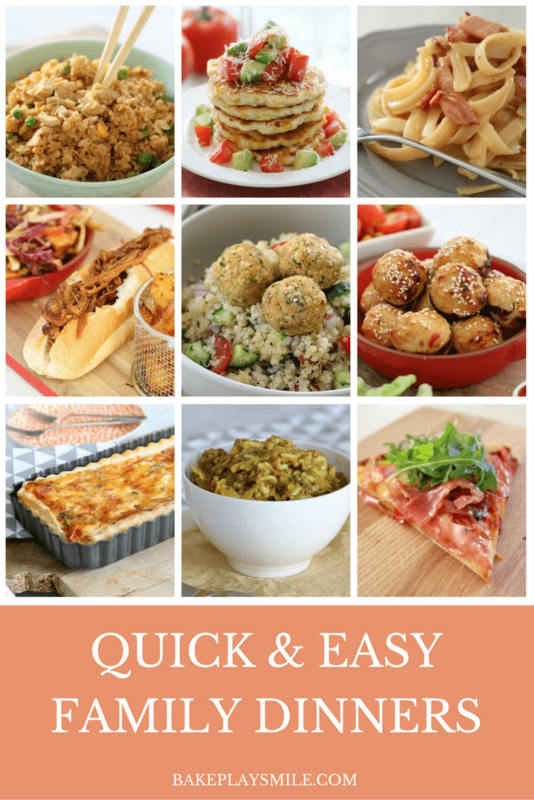 It’s simple, it’s yummy and everyone happily eats it (even our toddler – which is a massive win!). 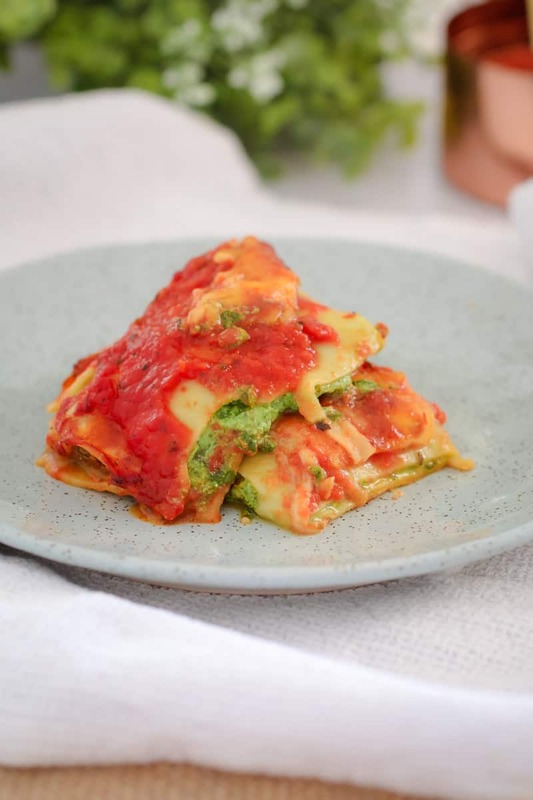 I like to use fresh lasagne sheets to make this recipe. It’s so easy just to spoon the spinach and ricotta mixture on, roll them up and repeat. 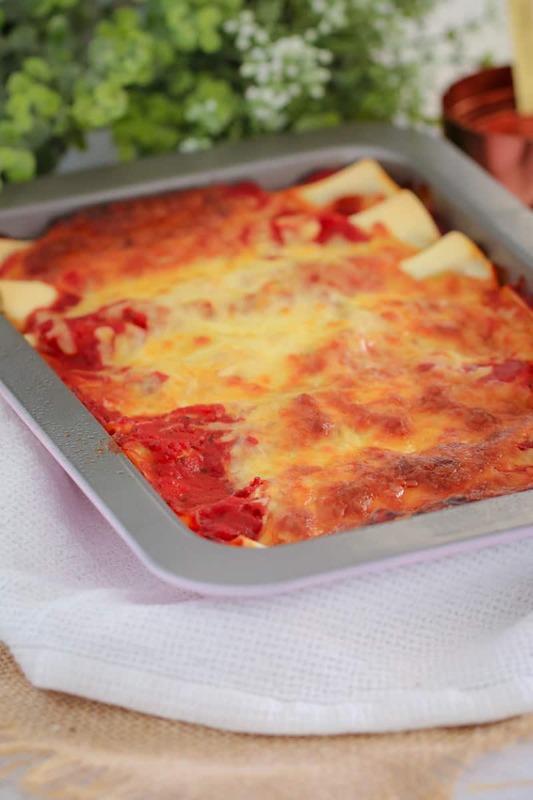 If you prefer, you can use cannelloni tubes but I find that the lasagne sheets cook quicker and taste even better. 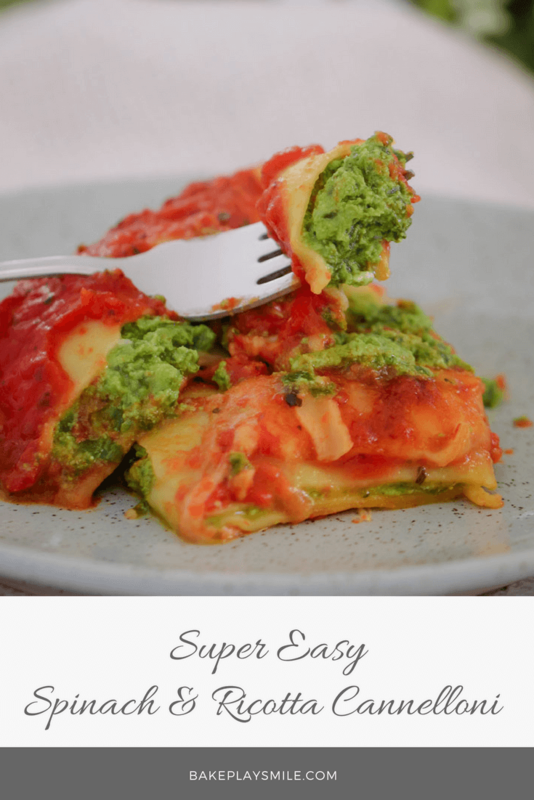 This easy Spinach & Ricotta Cannelloni takes hardly any time to prepare and just 30 minutes to cook – making it the ideal quick and easy dinner. You can also cook it ahead of time, pop it in the freezer and then reheat whenever you need. Preheat oven to 200 degrees celsius (fan-forced). Grease a large rectangular baking tray and set aside. Mix the defrosted spinach, ricotta, egg yolks, minced garlic, grated cheese and salt and pepper in a bowl. 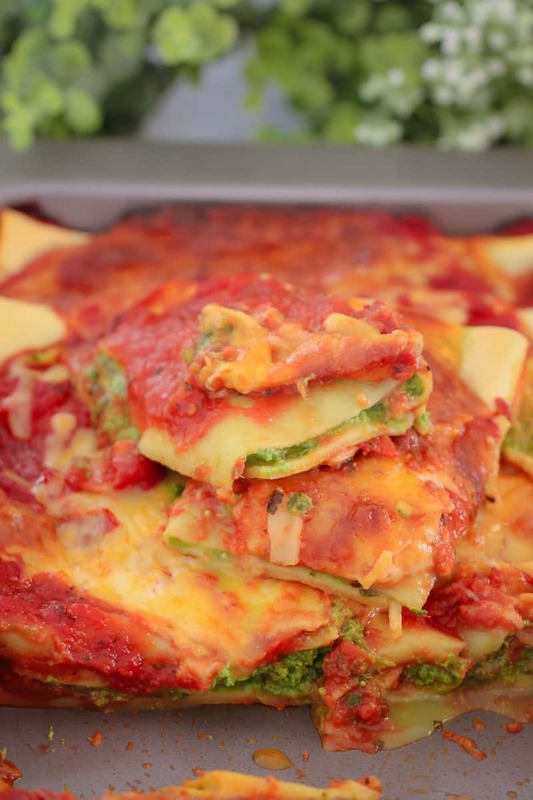 Cut the fresh lasagne sheets in half. Spoon a small amount of the spinach and ricotta mixture along the middle of the lasagne sheet and roll up. Place the rolled cannelloni seam-side down in the prepared baking tray. Repeat with the remaining lasagne sheets and mixture. 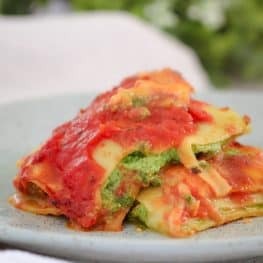 Pour over the passata, sprinkle with the grated cheese and bake in the oven for 30 minutes. 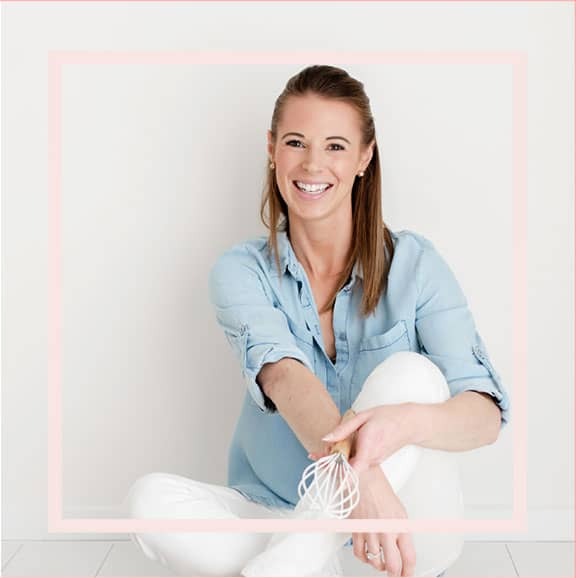 Place the defrosted spinach, ricotta, egg yolks, minced garlic, grated cheese and salt and pepper into the Thermomix bowl. Mix on Speed 3, 10 seconds. Scrape down the sides of the bowl and repeat for a further 5-10 seconds or until completely combined.